General Medical Consultants, Inc. provides pre-operative medical consultation and risk stratification for surgical patients. We provide convenient scheduling, comprehensive medical evaluations, and timely delivery of documentation to surgical facilities. General Medical Consultants consist of Board Certified Internal Medicine Physicians who focus only on perioperative medicine. 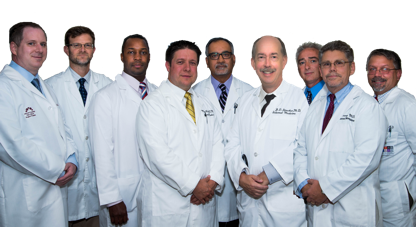 Our mission is to provide the highest level of service to our patients and referring surgeons. Our office is open Monday - Friday 8:00 a.m. - 5:00 p.m. Patients are seen by appointment only. Please call 614.221.3725 to schedule an appointment. Please arrive at least 30 minutes prior to your scheduled appointment time to allow time for us to gather important medical and insurance information from you. Please advise us of any changes in your name, address, phone number(s), insurance carrier, etc., prior to seeing the doctor. 24 hour notice of cancellations is requested. There may be a charge if you do not show up for an appointment.